Studio Blog: Autumn Winter Book: The Highlights! At Studio, the Autumn Winter book is one of the most anticipated catalogues of the year, offering a breathtaking selection of product ranges, from electricals and homeware to clothing, and of course, CHRISTMAS! By spreading the cost of your Christmas shopping throughout the year, you can take a great deal of stress out of the festive period and save yourself a bit of extra cash for all those Christmas and New Year parties! Inside the catalogue you’ll discover tons of fantastic deals, designed to help make your money go further. Our ‘HOT BUY’ products offer some of the biggest discounts you’re likely to ever see and these can be found throughout the catalogue. And remember, many of our toys and gift lines can be personalised for free! Just look out for the personalisation symbol. Listed below are handful products from the book, which we think are just too good to miss out on! 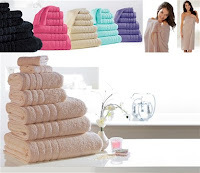 7-Piece Egyptian Cotton Towel Bale – Was £74.99 Now £14.99! Egyptian cotton towels are thicker and have a higher thread count than standard towels, making them softer and more absorbent. Included in this super set are 2 face cloths, 2 hand towels, 2 baths towels and 1 bath sheet. There’s no denying it, tablet computers are taking over, and iPads are the most popular among them. With a highly responsive touch screen interface, thousands of apps, and a stylish and compact design, the iPad can do almost everything that a laptop can do! 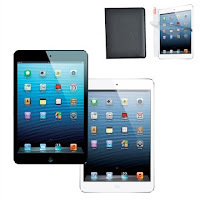 Plus, many of our iPads come as part of a bundle package with a wealth of useful accessories. 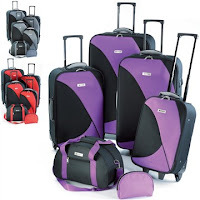 This practical 6-piece luggage set has all your travel needs covered. With 6 different cases and bags at your disposal, there’s somewhere to store and transport all your travel essentials. The large cases are fantastic for family holidays, while the smaller cases can be used for short breaks or business trips. There’s even a toiletry bag included for keeping tablets, toothpaste, shampoo etc safe, as well as a cabin bag that is small enough to carry onto the plane or train with you. No job is too big or too small for the incredible 6-in-1 steam mop from Pifco! With 1300W of power and 6 different cleaning options at your disposal, you can clean every inch of your home with minimal effort! Tackle hard floors with the traditional steamer, bring your carpet to life with the carpet steamer, refresh your car and sofas with the upholstery head, make your windows gleam with the window cleaner, and get into all those hard to clean places with the handheld steamer. There’s even a handy garment steamer included for cleaning clothes too! Jumbo Personalised Stocking with Free Reindeer Stocking - £9.99! Imagine the look on your child’s face as she runs down the stairs on Christmas morning and is greeted by a HUGE stocking with their name on it! 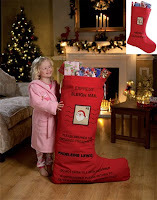 At 40”, the stocking is almost as tall as the average child, making it ideal for storing larger presents. Plus, when you purchase the jumbo stocking, we’ll send you a smaller reindeer stocking absolutely free. You could place the smaller stocking at the foot of a child’s bed and fill it with smaller gifts and sweets. And remember, our personalisation service is completely free.